Are you into street art? Perhaps you are pretty wicked with the spray can yourself? Well, either way the Venice Art Walls is a real cool spot. Where else can you legally, and without hassle. paint your piece for the world to see? And even if you are not an artist yourself, the murals here change weekly and are worth the visit. 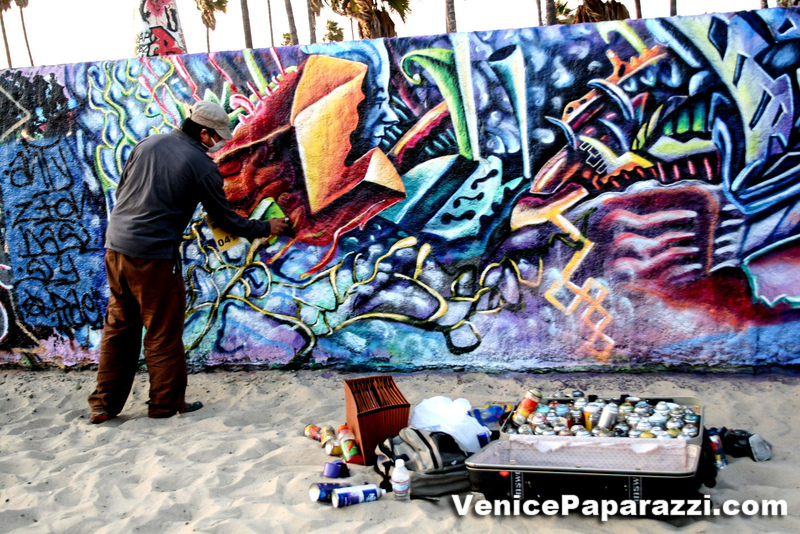 Venice Art Walls, also known as the Venice Graffiti Walls are located on the sand in Venice Beach. About: These historic walls were originally part of the Venice Pavilion that was built in 1961. The specific area where these walls are located was called “The Pit” or the “Graffiti Pit”. During this period the walls were often painted with graffiti style murals. It was technically illegal to paint the walls then, but was generally tolerated by the police andwas loved by the community. In 1999, the Pavilion was torn down but a portion of the walls were preserved as a living memorial to the high quality artwork that had been painted on the walls for over twenty-five years. 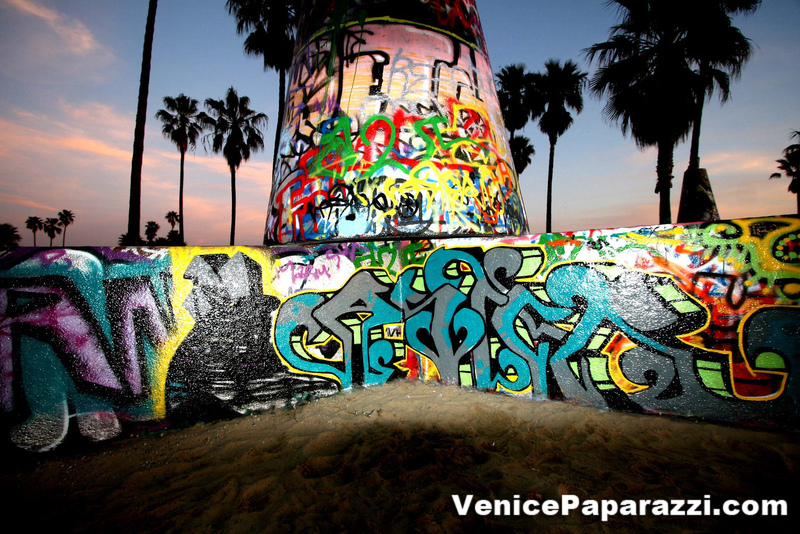 In 2000, it became legal to paint the walls and the area was renamed the Venice Graffiti Walls. In 2007, the walls were renamed the Venice Public Art Walls or the Venice Art Walls for short. PAINTING AT THE WALLS: For the people and by the people, the Venice Art Walls program is curated by the STP Foundation. FREE to graffiti artists, street artists, and any other creative minds; we are open every weekend on a first come, first served basis. Just bring your paint and come out to have a lavish experience of Los Angeles graffiti art under the warm Southern California sun. Artists of all artistic levels are more than welcome to come and use any medium to express their art. View all Venice Public Art Wall photos by Venice Paparazzi. Previous ArticleRelax, Mediate and Enjoy in Venice, California!